No one can outrun Cassie Price. Her dad tells everyone he meets that she has rockets in her shoes. And she seems to win every game she plays, without even trying very hard. But winning isn't always what it's cracked up to be, especially when your friends start saying mean things ... read full description below. I don't know why we even try. We all know Cassie Price is going to win, even with those brokendown shoes. No one can outrun Cassie Price. 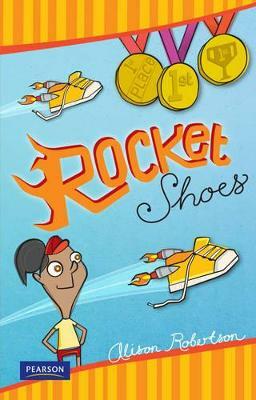 Her dad tells everyone he meets that she has rockets in her shoes. And she seems to win every game she plays, without even trying very hard. But winning isn't always what it's cracked up to be, especially when your friends start saying mean things about you. When a new girl at athletics poses a challenge to Cassie, she might have to rethink how important winning really is.